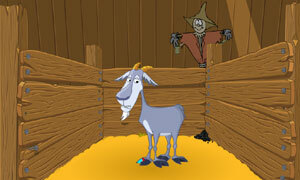 Escape Goldenrod Room is another point & click, escape game by 2keysgames. Rupert has been up to no good once again, and his wife has locked him in the barn. Help him escape! Good luck and have fun.